Weekly Photo Challenge – Journey | Photograph: To draw in light. Are you part of WordPress Weekly Photo Challenge yet? If not, try it this week. The theme is JOURNEY. For full details and to see other entries, click here. A Journey has a beginning and an end. It can be a journey you make, or one that wildlife makes (migration), or a journey of nature like a river. So here is my beginning…. First, decide on your mode of transport. Take time to enjoy the ride and slow down a little. You might miss something. But every journey has to reach a destination. I hope you arrive safely. 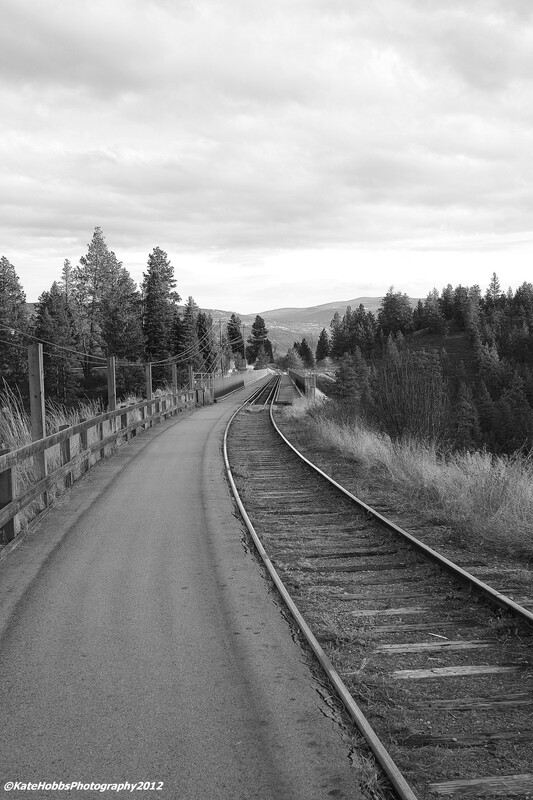 The Kettle Valley Railway at the trestle, Summerland. They have kept a small part of the railway open but most of the KVR is now a cycle and walkway. 06 Apr	This entry was published on April 6, 2012 at 10:03 am. 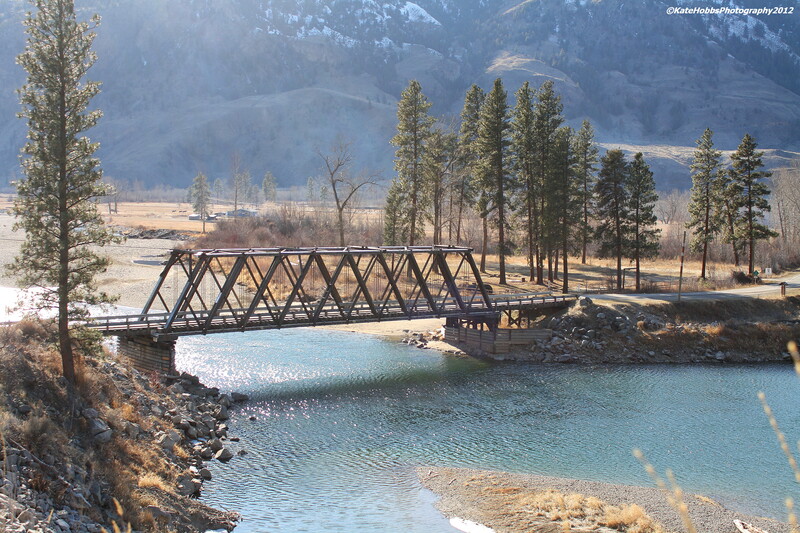 It’s filed under Canada, Photos and tagged British Columbia, Canon, Journey, Kate Hobbs, Kettle Valley Railway, My 2012 Photo Challenge, Photo Challenge, Photograph, PostADay, Similkameen River, WordPress Weekly. Bookmark the permalink. Follow any comments here with the RSS feed for this post. my journey ends and begins in three weeks…lovely shots! Not long to go. Steve keeps counting the days for us too. It is 48! Oh please let them say we can stay in Canada. I second that!!! He often moves in the very last min.! I’m glad that I brought a smile to your face. That, honestly, means so much. And thanks for saying so. Thank you. I appreciate your comment and thanks for following my blog. Thanks Kate, a lovely gentle journey! So glad you like it Gilly. I like the bridge photo. Beautiful scenery. We are very fortunate here in British Columbia. The scenery is stunning. This part of the railway runs through vineyards and orchards. The train track ends on the other side of the bridge which goes over a gorge. It is spectacular. Especially, I like the monochrome rail photo. Thank you for your ping back . 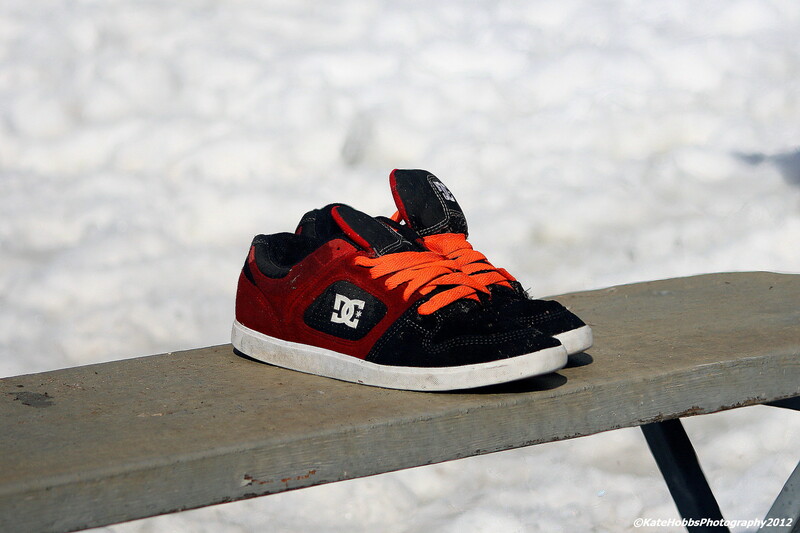 I love the photo of the shoes, a great way to start your journey. I also love the railway track. The tracks make great trails now. Enjoyed your post. The “First, decide on your mode of transport” made me smile, too. I have taken off before only to find out later I had the wrong type of shoe for the journey. Great photos! Thanks for stopping by my place and sharing your kind thoughts. Great to see you here too. Thanks for the visit. Those shoes are made for walking! Thank you for the picturesque journey! They certainly are Patti. Thank you for visiting my blog. Great collection of photographs. Wonderful post.